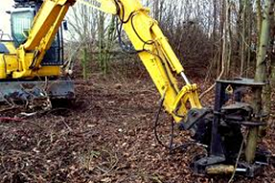 Bardsey Tree Services are able to take on a wide spectrum of site clearance contracts across Northern England. Our full and comprehensive range of plant & machinery allows to tackle any job from small private clients to large scale commercial contracts. Specialising in Commercial Site Clearance. 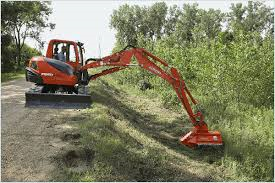 We have access to a full range of Plant & Machinery including Mulcher Excavators, Whole Tree Chippers & Hydraulic Tree Shears which gives us extensive site and land clearance capacity. We would visit your site to provide complete a survey and quote for your project. We are experienced in residential development sites, new road clearance & commercial / industrial site preparation projects. We operate throughout the UK, Key areas include: Leeds, Bradford, Wakefield, York, Harrogate, Huddersfield, Middlesbrough, Sunderland and surrounding areas. We work with a wide range of clients who require tree clearance and land clearance services. We work with a varied customer type from residential properties who may need to clear land for a building project, a new driveway or a garden cleared to large scale commercial contracts such as land clearing for golf clubs, building developers, leisure centres, shopping centres etc. Whatever your land clearing or tree clearing needs you can count on us for reliability, safety and capable machinery for the job in hand. We will look forward to providing you with a tree clearance or land clearance quote. All aspects of site clearance work undertaken. 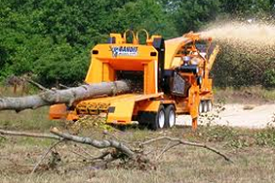 Watch an example video of how trees can be cleared and removed quickly with land clearing machinery. Tree Surgeons in Leeds – Tree Felling – the safe way! Removal of a row of conifers & 2 stumps in Chapel Allerton, Leeds!